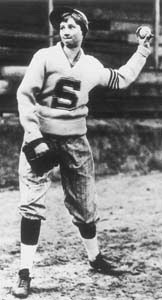 No other sport has as much fascinating history as baseball. Or consider the plight of one Joe Pignatano. This poor fellow had a respectable major league career that lasted six seasons, but no one remembers his 16 home runs or his .234 lifetime batting average. Instead, this more than capable catcher will be eternally remembered for being the only major league baseball player to ever hit into a triple play in his last at-bat. Talk about ignominity for someone who wore the "tools of ignorance." And then there are the infinite number of statistics that the game of baseball so embraces. Earned run averages, for example. Best slugging percentage by a Chicago Cub infielder under the age of thirty facing a 3-2 count. 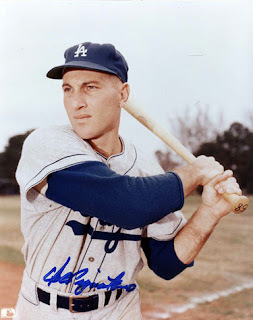 Most career doubles during a twi-light double-header by a left-handed pinch hitter with runners in scoring position. The list is truly endless. While not an official statistic, the numbers 72 and 9 1/2 are exceptional in off-field baseball lore. 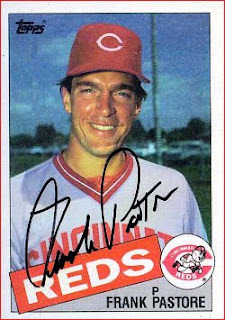 Enter Frank Pastore, a pitcher for the Cincinnati Reds between 1979 and 1985. 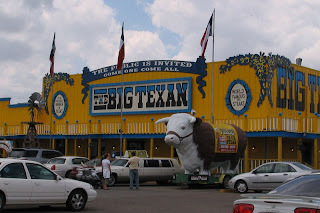 A year after he retired Frank entered the record books by devouring the 72-once steak dinner at the Big Texan Steak House in Amarillo in a remarkable nine and one-half minutes. Just think -- 4.5 lbs. of top sirloin, a baked potato, a shrimp cocktail and a dinner roll in less time than the typical 7th-inning stretch. That's an A-1 accomplishment to be sure. Fireballin' Frank held this record for twenty-two years until a fellow named Joey Chestnut accomplished the feat in eight minutes, fifty-two seconds on March 24, 2008.